OVER 900 COLLEGES & UNIVERSITIES PARTNER WITH LAD. We've been delivering custom course materials for over 20 years. We understand the landscape and have the tools to provide the solutions to empower your business. Our Campus Solutions program covers assembling material, negotiating copyright fees with content providers, and creating high-quality digital masters at competitive prices. Bookstores, and campus print shops, are now free to focus on the growth of their store's business in other ways. Our Guaranteed Ship Date and 100% Return Policy offer an added peace-of-mind. You've been handed a selection of materials that you need to assemble into a single course pack. Partner with LAD. 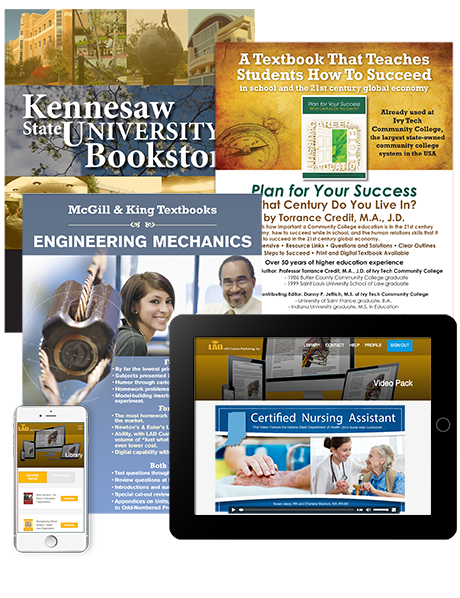 We'll organize your course pack materials, whether they're in print form or digital, or both. Once assembled, we will prepare a high-quality, print-ready scan. You're free to focus on other tasks. Take advantage of our flexible production solutions, from page layout to book binding, including a free addition of a Table of Contents and Pagination. Need to Keep Production In-House? Your print shop may lack the resources to assemble the material, clear copyrights and create a print-ready file. LAD will handle all of the ground work and supply your print shop with a high-quality master scan for production. 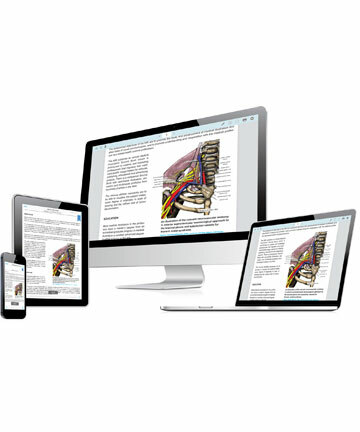 Our Digital Portal is a virtual, centralized platform that delivers secure digital versions of your custom content. Our technology can be white-labeled and branded for your school. Faculty now have a secure way to deliver their videos with the eLAD Video Library. We will assist in all of the facets of publishing.